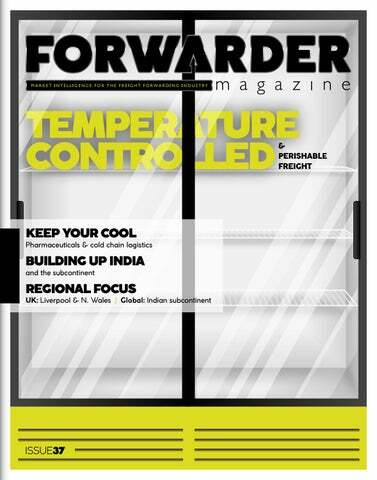 elcome to the 'Temperature Controlled & Perishable' edition of FORWARDER magazine. market, as well as a view post-Brexit life in Wales. I can pull that one off, but I’ll wish it to our readers anyway ...even if you aren’t reading this in January! reach their plates. I know I didn't, before I worked in the industry! and perishable loads be affected, come March? We can’t predict the future, but we can have a good ol’ discussion about it, nonetheless! actively hiring new agents which is potentially going to be a problem. customs jurisdictions, which could mean hard checks at the border between the two. Neither the UK nor the EU want this, as the resulting physical infrastructure could raise tensions in the area. impatience is rising over seemingly ‘basic’ operational questions remaining unanswered. Businesses have been warned to have plans in place in case of an undesirable outcome for months, but with multiple possible scenarios a possibility, it’s just not realistic for smaller businesses to prepare for every eventual conclusion. At the time of writing, it has been reported that Mrs May has refused to rule-out a no-deal Brexit scenario, despite the fact that avoiding this outcome seems to be the only thing a majority can agree on. A no-deal outcome would threaten customs checks, traffic tailbacks, and high import tariffs on a number of goods, as the customs market defaults to the World Trade Organisation (WTO) guidelines. Additionally, there are currently no publicised plans to prepare additional customs staff, for example – see this issue’s FORWARDER Focus on North Wales for my further breakdown and analysis of customs complications. to bypass the expected chaos at either or both ports. fulfillment services supplier for consumer goods, Limal GmbH. long-term partnership that enables us to offer a valuable additional service to our clients. a day from four sites. its Herzlake site. As Managing Director Bernhard BrĂźggen explains, production output will be doubled to over 25,000 units in the next one and a half years. production offensive with the introduction of automatic component production in Herzlake. Our swap body systems and Dry Liners stand for high product quality combined with numerous innovative load securing solutions and are therefore in high demand on the market, as evidenced, for example, by our market share of around 70 % for swap bodies. In addition, there is a significant increase in demand, which is also generated by the booming online trade. In addition to the massive increase in production, this is also associated with an investment offensive. As part of the extensive automation implementation and the associated robot production systems, the entire product range is being revised. This is particularly important in order not only to further increase quality, but also to further increase customer benefits. Solutions (TCS) within the Freight Forwarding business line. on global shipments to ensure an even more proactive and faster service that continues to provide value to the customer business. network teams, alongside nominated partner agents across the globe. coverage, and local on-the-ground expertise for customers. truly add value to their customers’ business. from a potential manufacturing standstill. Loen, who both bring extensive TCS experience to the operation. Netherlands for over 10 years. generated revenues of €4.4 billion. range of short-term rental (STR) trucks. their material handling fleets with extra vehicles to cope with the additional goods they are storing on behalf of companies that are stockpiling products to ensure their business is not affected by possible future customs or port delays. With companies seeking to minimise the risk of supply chain disruption in March by holding increased inventory, warehouse operators across the UK are under intense pressure to increase storage capacity and maintain handling efficiency at their facilities. But, with anecdotal evidence suggesting that businesses are seeking to hire additional storage space for periods of between just 6 and 12 months – in theory enough time to ensure their supply chains do not suffer as Britain leaves the EU – short-term rental Flexi trucks are the obvious choice for third party logistics (3PL) companies. We are receiving significant enquiries for short term rental products from 3PLs whose needs are being driven by their clients’ contingency planning every day. In comparison to 12 months ago, the number of machines we have in the market on short-term contracts is up 25 per cent. John Maguire, Commercial Director, Narrow Aisle Ltd. Narrow Aisle’s product support network. network with strong local members to handle our export parcel shipmentsâ&#x20AC;?, says Daniel Knaisl, Managing Director at Geis Poland. comprehensive service package as one team. business synergies to our shipowner and ship manager customers. specialist laboratories providing this service. property and the protection of the marine environment. Inventory of Hazardous Materials in a very cost-efficient way. worldwide network. NautilusLog GmbH has recently won several awards including the Hamburg Innovation Award, Pitch Blue Award by VDR and Digital Logistic Award. We are proud to support our Partners with the best digital tools allowing them to serve more ships in less time and effort. Otto Klemke, founder and Managing Director, NautilusLog GmbH An IHM report will be linked to the entire lifespan of the vessel, eventually covering the building stage, its operational stage and the recycling stage. journey to their new home. whales 6,000 miles from China to Iceland in spring 2019. Islands, located off the southern coast of Iceland. meticulously preparing for the move this spring to ensure a seamless journey for Little Grey and Little White. and wild habitat for these amazing whales to call home. necessity to promote conservation, preserve the environment, and fight illegal animal trade. engagement and that of its employees. global experts with experience in transporting marine mammals. to be created for cetaceans. The 6,000-miles journey will take around 24 hours to complete, from the time Little Grey and Little White leave Changfeng Ocean World in Shanghai to their arrival at the sanctuary on Heimaey Island. The journey will begin at Changfeng Ocean World in Shanghai. whales. This will be very carefully controlled to ensure the two whales will not be disturbed in their new and very natural environment. Bay and include a landside care facility and visitor centre. the beluga sanctuary landside facility and placed into a special care pool so they can be assessed following their journey. operating in the North, Baltic or Irish Seas, as well as P&I clubs, marine surveyors, shipping lawyers and other professional experts. on 7 and 8 October 2019 in Ipswich. degree from the Scandinavian Institute of Maritime Law. developing standards for trading conditions and adapting terms for bills of lading, and the proper handling of hazardous goods. The conference has members from more than ten European countries, including some of the biggest RoRo operators. The conference will be working with their members to develop guidance that helps minimise operational disruption during this challenging period for shipowners and charterers. Awards luncheon at the Brewery on Thursday, January 17, 2019.
shortlisted as finalists in the new Apprentice of the Year category of the trade association’s annual Freight Service Awards competition. pleased that there has been keen interest in the new category. the launch of the International Freight Forwarding Specialist Apprenticeship in April 2018.
the industry and apprenticeship; and hopes for the future. or telephone interview during December 2018. This is the second category aimed at young people within the industry, the Young Freight Forwarder Award having been running since 1999.
sites), or at suburban locations with good access to rail stations. the need to own and use private cars. improvement in economic, social and environmental deprivation, through improvements in income, skills and wellbeing. transport alternatives and poor facilities for walking and cycling. Transit oriented development could help to reverse this. 19% of trips and 64% of trips are made by walking or cycling. 35% and led to lower volumes of traffic. England, Tees Valley and Nottingham. Sustainable Transport through adoption of the Clune Report. that new national data elements can only be requested if truly needed. information via a so-called Graphical User Interfaces. Commission proposal and the rapporteur’s recommendations. system reporting would be the establishment of a voluntary systemto-system ‘Common Access Point Interface Module’ at EU level. jeopardise the safety of the crew, the vessel and its cargo or the port. on the working conditions of ships’ crews. relevant national single window via one EU router and then relay back to the shipping company any responses from that national single window. brought about with an ambitious new Regulation. had to be flown to Auckland eventually. task but was successfully delivered on time right before the festive season started. WiniPac, we expect and even bigger 2019 for them. potential diseases, which could affect New Zealand. in Hua – Hin, Thailand this coming February 19 – 22, 2019.
other parties in the supply chain that must be allowed to continue. benefit of shippers and consumers. here and recognised as a long-term partner. was three times higher than the Eurozone average. such as the UK, Hong Kong, Mexico City, New York and Chicago. up to meet future growth opportunities. service before we leave the EU. It sounds like a very tall order. unique visibility across their entire supply chains. a positive development for the global maritime industry. while Phytoplankton is more easily treated. treated water was not a requirement. biological processes are working properly. treatment systems validated during an additional survey. our award-winning B-QUA test kit in pole position for meeting the new requirement. be able to put to sea with a non-compliant system. that deliver real-time feedback on microbiological content. water and manufacturing industries. Newly-acquired affiliate InstantLabs, a LuminUltra company, is a global molecular diagnostics company focused on building next-generation DNA-based analysis tools and services for industry. better service with a much shorter time until the final destination. cargo exposure while in transit. decreasing cargo exposure. Chile is the largest salmon exporter in the region, with a steadily increasing demand from the Asian market in recent years. While in 2014 an average of 37 tons were transported between both markets each week, in 2018 this figure rose to approximately 700 tonnes per week, on average. The return route will be Chicago-Miami, thus improving service to customers in the Midwestern United States by reducing transit time to Latin America by up to 3 days. This will result in shorter connection time and more expeditious shipping. transportation time of the main Asian carriers. & increase efficiencies and help them to operate in a leaner way. model to offer large scale, mass customisation. produce a bespoke and tailored service on a mass scale. info@crowncouriers.co.uk or calling 0330 3334400.
about a live consignment. Enthusiastic about the opportunities posed by the implementation of industry-leading technologies, Tim affirmed that innovation is most effective when used as a tool to support and not replace the human element of its service. ‘Finding new ways to deliver a better service is a key priority for Crown, that’s why we put innovation right at the heart of our company values. But we’ve made the investment purely to support our teams in delivering a more efficient service and speedier communications to the customer, and not to replace the knowledge and expertise of our teams that our customers have access to 24/365’. With organically grown data built up over the last 10 years and over 25 consultants updating records of freight forwarders, shippers, supply chain and logistics departments worldwide, our data is unrivalled. We can run campaigns by geographical region or by vertical market. Internal and external communications. Newsletter production as well as content writing as required. Newsletters are an excellent way to increase client awareness of new services and keep employees fully engaged. Our Postal Mailshot data is the cleanest in the industry. We can produce postal mailshots in exactly the same format as our eShot campaigns. As with our digital marketing we are able to target geographical regions or verticals according to your requirements. PAF Finder is a new section being added to FORWARDER magazine where you can talk about your Partners, Agents and Franchise (PAF) agreements. It will include promotional editorial and a section where you can advertise for a new partner, agent or franchise. The FORWARDER Directory is a listing of freight forwarding companies, shipping lines, airlines, etc. The Directory has recently been redesigned to include all of the countries in each issue and to be a persistent, ever-evolving resource. 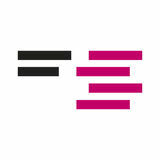 FORWARDERmagazine.com is the magazine, advertising space and Directory online. We offer a daily posting service straight to the site that gets shared across the whole of the Freight Media social platform including Freightabase, LinkedIn Facebook and Twitter. Significant front-cover exposure and 6-page feature in FORWARDER magazine about you, your company or a product. Designed for the forwarder that wants to stand out from the crowd and for use when presenting your services to clients. Includes a separate PDF booklet. A two- or four-page spread in FORWARDER magazine ideal for anyone aiming to promote a new facility. As with ‘Move it Like…’ we can produce a handout that your sales team can use for client meetings and marketing campaigns. An excellent way of promoting new services, new recruits or any exciting projects that you may have coming up. Over the next 12 months we will be covering various topics around UK regions, international trade lanes and vertical markets. Our team of social media experts will post regular articles to increase brand awareness and exposure. Most of our clients are too busy moving freight to get caught up in perfecting their social media presence. We will take it off your hands. Your website is your shop front and you only get one chance to make a first impression. We are here to ensure it’s an excellent one. Our digital marketing and design team will work with start-ups, SMEs or top-25 forwarders to forge their online presence. Forwardingjobs.com is the leading job board for the Freight Forwarding Industry. If you are recruiting on a regular basis we can offer a range of services depending on your requirements and vacancies are included in the recruitment section of FORWARDER. WOULD YOU LIKE TO SUBSCRIBE? TO FORWARDER? page and send it to subscriptions@forwardermagazine. the monthly topic and regional focus. subscription cost based on your location in the world. large capital costs with more manageable monthly operating costs. packaging, is celebrating the five year anniversary of Crēdo™ on Reserve, its long-term rental program for the cold chain pharmaceutical distribution industry. and the upfront investment in temperature-controlled shippers. inventory for longer rental periods. controlled shippers throughout the entire distribution cycle. wide range of Pelican BioThermal temperature controlled offerings. to respond even more flexibly to strong demand for liquid logistics. expand its fleet of heated intermediate bulk containers. The 100 new containers have already been leased to customers. and storage of liquid foodstuffs. These small units are also used whenever tank containers or tank trucks cannot be deployed. With this fresh investment, Liquid CONcept is responding to increased demand for food transportation in small containers. from the fresh produce business sector. vegetables comprise around 46 percent of all fresh products in air cargo. such as fruit and vegetables for European consumers. operates close to 20 flights out of Africa and South America to Europe. their field, which benefits its customers’ specialised requirements. the Faroe Islands and Canada. For more information:www. 1-800-506-4030 ext. 5 or +1-647-984-4693. while addressing maintenance and fuel theft issues in near real time. Taylor Power Systems is a name synonymous with dependability. easy for us to select them as our preferred telematics vendor. INTRODUCING OUR NEW SECTION... UK specialisms, divided into the 12 UK regions we judge to be most familiar to the freight industry professional at work. From 'abnormal loads' to 'warehousing & storage', if you need it done, it's in here. integral cargo a company can carry and require specialist handling. soon hope to widen the initiative to other member airports. the airport’s reputation as the world’s busiest cargo gateway. the ‘majority’ of the traffic. So...beyond industry-recognised certification, what is left? most often are due to temperature deviations. hear time and time again: technology. temperature is involved, the IoT is a blessing. controlled logistics over the last year. all require a temperature-controlled environment. positive start to 2019 for the freight industry. Pharmaceutical goods… what about them? What are temperature controlled goods? pharma products must be authorised, stored and distributed. Why is the temperature control important? temperature to remain as required throughout the entire journey. is between 2°C and 8°C (36°F and 46°F) for pharmaceutical goods. typical types of TC goods as opposed to ‘warm’ or ‘hot’ conditions. to its destination. For example, paper, silk or cotton would have to be handled with care, and would have to be protected from any moisture or other damage that may affect its quality. What types of transport are there for perishable goods? How are perishable goods classified? for transporting foods for consumption. environment with the goods kept inside. This is achieved very similar to a flask. The isolation of walls, doors, ceiling, and floor, which restricts the interchangeable temperatures between the interior and exterior of the van/truck. Refrigerated vehicles tend to have a non-mechanical cold source to lower the temperature of the interior overall temperature. These usually form a temperature of 30ºC to -20ºC. Freezer transport includes a cold production mechanism, which reduces and maintains the interior temperature between -12ºC and -20ºC to keep goods at freezing point or below. have begun stockpiling items in expectation of delivery delays. supply of fresh food is no longer guaranteed for UK consumers. nothing is definite for future flights between the two markets. EU markets without additional red tape. Services on 03717 11 22 22.
such as retailers and manufacturers. currently, that doesn’t look to be a possibility. EU, so nobody can remain complacent. freight, equivalent to 11 per cent of total UK trade by volume. industry in Wales in light of Britain exiting the European Union. discuss Brexit’s trade and customs implications for Wales. look towards utilising private plots. the time-sensitive nature of the product, and it’s easy to see why concerns are being raised. everywhere. We provide the necessary links between businesses. and nobody knows how this will impact freight movement. according to the Make in India website. innovation, investment and quality service. part of their ‘Doing Business 2019’ report. inland waterways – all driving efficiencies skyward. industrial corridors also look to connect up the nation’s ports, where 90% of the country’s trade volume is moved via maritime transport and further budget allocation is being expended. DP World and the National Investment and Infrastructure Fund (NIIF) have won a bid to develop and operate a free trade warehousing zone at Jawaharlal Nehru Port Trust which is expected to be fully operational by 2020. TAX & CUSTOMS VAT The National Board of Revenue provides information on VAT. The UK exported £450 million of goods and services to Bangladesh in 2013. 71% of this was services. Exports of goods were £131 million in 2014. No import duty is applicable for an export oriented industry. For other industries it is 5% ad valorem. The National Board of Revenue provides a listing of customs duty exemptions. British nationals need a visa to visit Bangladesh. in the UK prior to travelling. You must have a work permit to work in Bangladesh. https://www.gov.uk/government/publications/exporting-to -bangladesh/doing-business-in-bangladesh-bangladesh-trade -and-export-guide Contains public sector information licensed under the Open Government Licence v1.0. Bangladesh signed the agreement on Trade Related Aspects of Intellectual Property Rights (TRIPS) on 1 January 1995. TRIPS sets minimum standards for IP regulation as applied to nationals of other WTO members. The Department of Patents, Design and Trade Marks is responsible for IP in Bangladesh. claim a transaction hasn’t happened when it has, or vice versa. ‘blockchain for dummies’ guides are full of jargon. fees. So, people who use blockchain keep all of their profits and aren’t charged any transaction fees. can keep track of how technology is evolving in our industry. each other and work things out between themselves. as possible, including an analogy and a glossary at the bottom of the page. One day, one of the children, Kelly, comes to school, and really wants Jane’s three pink marbles. But Kelly has forgotten hers. code) and it is decentralised (has no governing body). marbles into school and gives them to Jane as they agreed. The arrangement works. like governments and banks to control peoples’ wealth. Blockchain is decentralised, meaning there is no middle man. – a ledger – which tracks every trade, and who owes what. Tom is the middleman – a bank. This works for a while. What’s the difference between blockchain & bitcoin? goes above all. And what happens if Tom loses the book? A better, fairer way is decided. just like any currency, and payments made using bitcoin are encrypted. digital ledger which helps to keep everybody accountable. can all check their books and the majority record will win. might hear when people are talking about blockchain. This new scenario is how blockchain works (in principle). to verify shipments and payments. One of the most attractive features of blockchain is its transparency. It keeps everyone accountable because of the shared ledger. to an eco-friendly lifestyle seems to be the answer. all envision fluttering in the wind. without making the transportation of certain goods problematic. the complications? And how exactly will this affect the freight industry? ability of councils to recycle them. perfect selling condition. Take for example, plastic stickers on apples. transportation of the goods could become affected. than plastic pots, so the amount of goods within a load compared to plastic would decrease, due to both volume and weight capacities. with more care than usual. The ‘Quick Quote’ is designed to assist busy cargo owners who may not have the time to do an advanced search. Simply complete a very simple form and our customer services team will do the rest for you. The service is available on desktop and mobile and the app is being released soon. The ‘Directory’ is recommended if you are looking for a carrier by name or in a specific location. You can also select carriers by key words, e.g. ‘perishables’ or ‘project cargo’. The Directory also lists service suppliers to the industry, e.g. marine insurance or mergers & aquisitions. The ‘Loading List’ is a more advanced search where users can find carriers that specialise in a specific trade lane or shipping route. You can select mode of transport, collection and delivery point. This will then produce a list of specialist carriers to consider for your shipment. themselves in being a friendly family-run logistics business. by themselves from beginning to end. your needs, AGI Global can offer you a service. thereâ&#x20AC;&#x2122;s never been a better time to delve into this world and make your dreams come true. logistics specialists operating between Turkey and the United Kingdom since 2002.
the knowledge that you are in very safe hands. Freight Mergers are specialists in selling owner-managed freight forwarding businesses. For most company owners, selling their freight forwarding business is the most important financial transaction of their life. To meet the challenge of getting a fair price for a business, we have developed a proactive approach to selling a business that connects buyers with sellers with the best synergy. We have over ten years of experience in the freight forwarding sector and, due to our niche-specialist approach, can put you in touch with the best sellers for your business. Are you planning to buy or sell a freight forwarding company? INT'L FORWARDER & WAREHOUSING /PICK & PACK BUS. OCEAN IMPORT OPERATOR BIRMINGHAM, UK – £neg. turned this traditional fashion house icon’s logo into a simple, clean one. However, change isn’t always positive, and rebranding can go wrong. as well as its original design then consumers won’t be easily swayed. done well, can be the reason behind a successful company that is globally recognised. How have these businesses cultivated their global image so well? can quickly press the mute button on the remote!). order to be seen. Consistent, quality branding is more important. stationery...and maybe a couple of mugs for good measure. Please be aware, in this dynamic industry these topics and features are subject to change. magazine, full details of our rates and technical specifications can be found in our media pack. Please email us for a copy. Tim Headford tim@forwardermagazine.com FORWARDER magazine is free in the UK. Please email for a subscription form. www.forwardermagazine.com When you’re finished with this magazine, please recycle it. The 'Temperature Controlled & Perishable Freight' issue. Regional Focus: Liverpool & N. Wales | Indian subcontinent.